This is a sauce I like to make LOTS of. I like to freeze it for later. This is a recipe which I like to add sauteed cremini mushrooms to and or any lovely greens in season. I simply add to the fresh or thawed base sauce; you can create whatever you wish. 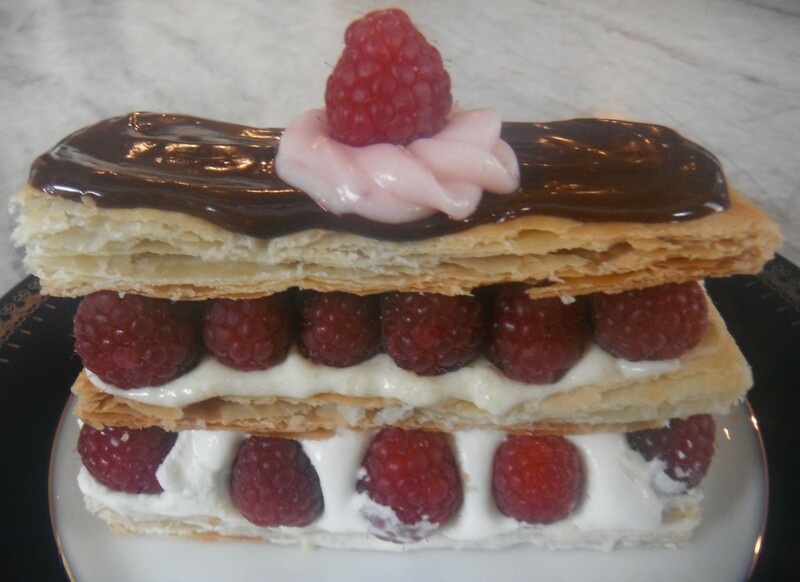 This recipe is also easily divided if you don’t wish to make as big a batch but why not? 2 1/2 lbs. short ribs or flanken style short ribs. Flanken style short ribs pictured on the left. I prefer the flanken style because it has less fat and more meat. Heat the olive oil in a 13 quart heavy pot. Cook the pancetta until crispy . 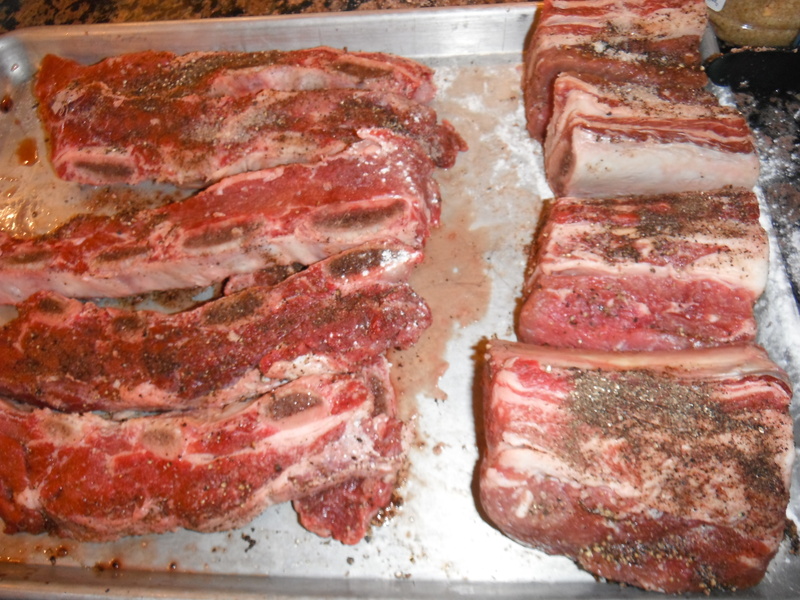 Meanwhile, season the short ribs with salt and pepper and dredge in the flour. Remove the pancetta with a slotted spoon and set aside. 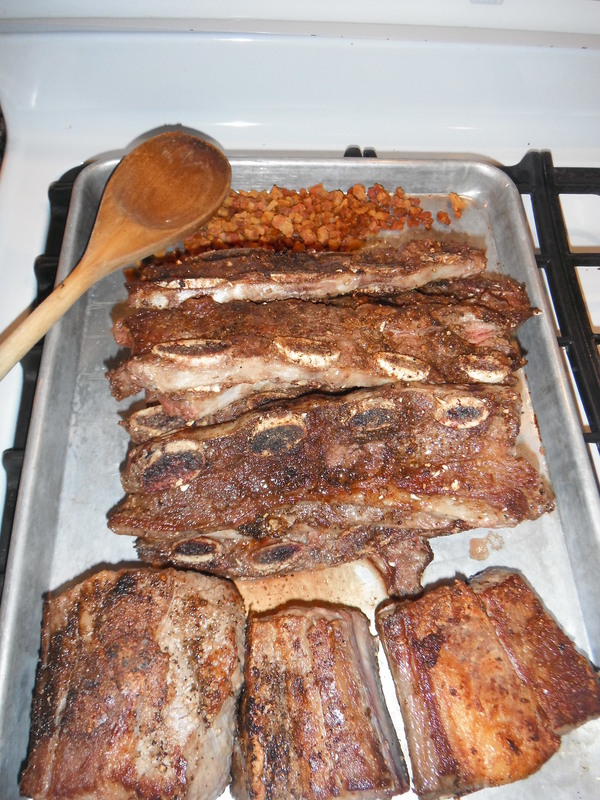 Add the short ribs ; do not over crowd pot and brown the short ribs on all sides. Do not rush the browning process. It’s the browning and the luscious tiny bits left on the bottom of the pan known as the fond that add to the depth of flavor in the sauce. Once all the short ribs are nice and brown, add the short ribs and crispy pancetta along with the remaining ingredients to the pot. Give the pot a stir ; make sure to scape the yummy bits from the bottom of the pot as you stir to combine. Bring the mixture to a boil and reduce the heat to a gentle simmer; cover and simmer for 1 1/2 hours. After 1 1/2 hours, remove the lid and continue to simmer for another hour. Using a slotted spoon remove the short ribs and the bay leaves. Allow the short ribs to cool enough to just handle and remove the bones. Place the short rib meat back into the simmering pot and continue to cook until short rib meat is tender enough that it shreds. Using the back of a spoon smash any grape tomatoes on the inside edge of the pan that have not fallen apart. Shred the meat and place back into sauce simmer the sauce until thickened slightly. Serve this sauce over mashed potatoes or toothy pasta such as rigatoni, penne or tagliatelle. Caramelize the red onion in the 1 tablespoon of olive oil and 1 tablespoon of butter. Place cooled caramelized onions in a large bowl. Add the remaining ingredients and toss. 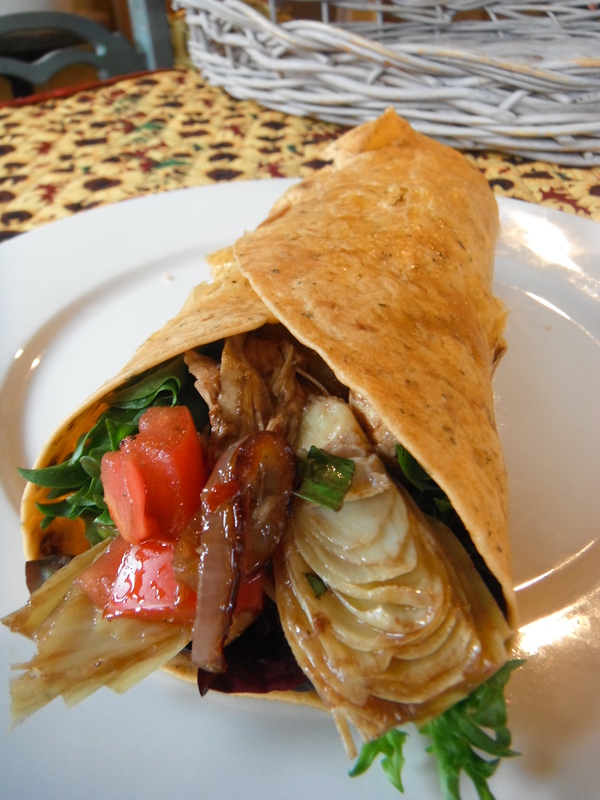 Line the center of the wrap with hearty greens and add some of the filling; wrap. Cook mushrooms, garlic, 1/4 tsp salt, and 1/8 tsp. pepper in oil and 1 tablespoon butter in a heavy saucepan over medium heat, stirring occasionally, until mushrooms are softened. Add wine and simmer briskly for 2 minutes. Set aside saucepan. Melt 4 tablespoons butter in another saucepan , add the flour to make a roux, whisking constantly for 3 minutes. Add milk in a slow stream and whisk until well combined. Add the thyme, 3/4 tsp salt, 1/2 tsp. pepper and simmer whisking occasionally until thickened. Remove from heat. Reserve 1 cup sauce and set aside. Stir in the parmesan into the remaining sauce , add the mushroom – chicken mixture and stir together. Combine the mascarpone and fontina together, set aside. Pour half of the reserved sauce into a 9×13 baking pan, spreading evenly . 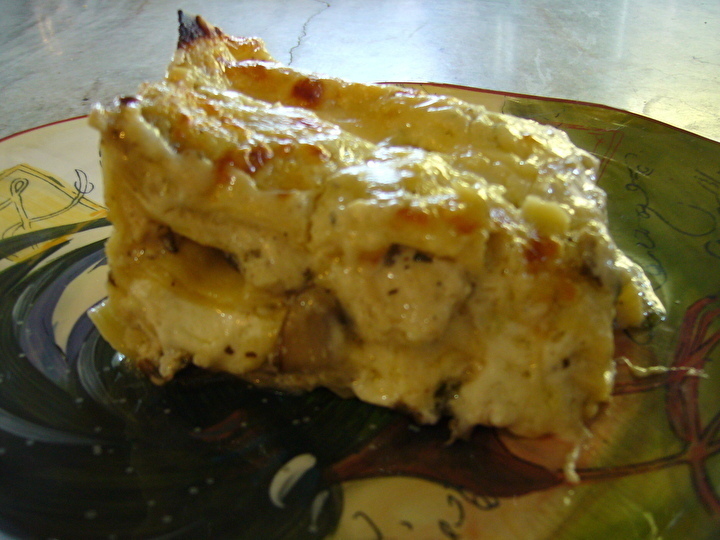 Place lasagna sheets, overlapping slightly, and one third of the mushroom- chicken mixture, spread evenly, sprinkle with 1/3 of the grated Gruyere cheese. Layer with more noodles and top with sliced mozzarella cheese. Add more layers of noodles, top with mushroom- chicken mixture, sprinkle with grated Gruyere cheese. 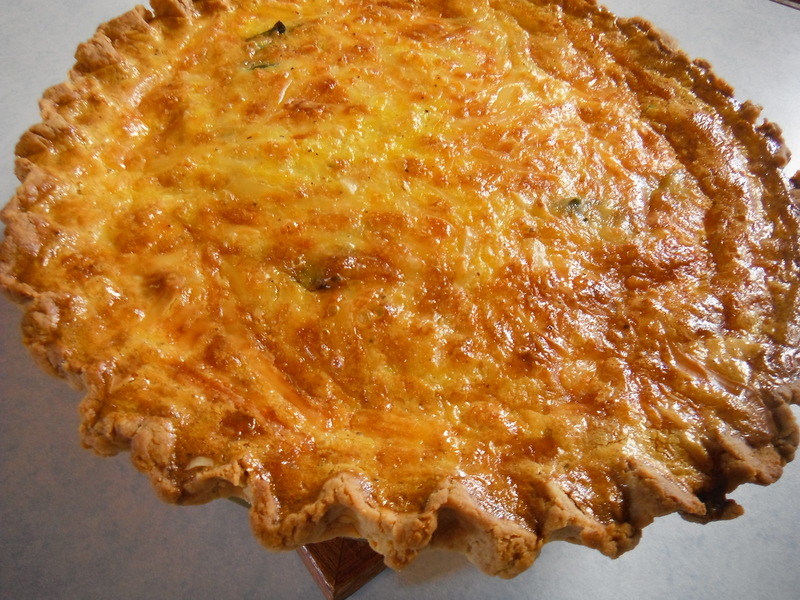 Top with another layer of noodles and top with fontina – mascarpone mixture, spread evenly. Top again with noodles and top with remaining mushroom – chicken mixture, spread evenly, sprinkle with grated Gruyere. Top with last layer of noodles and pour reserved sauce over top and spread evenly and sprinkle with remaining Gruyere. Place on foil lined baking sheet. Cover lasagna tightly with foil not touching top of lasagna. Bake for 30 minutes. Remove foil and bake another 15 minutes until top is golden and bubbly. 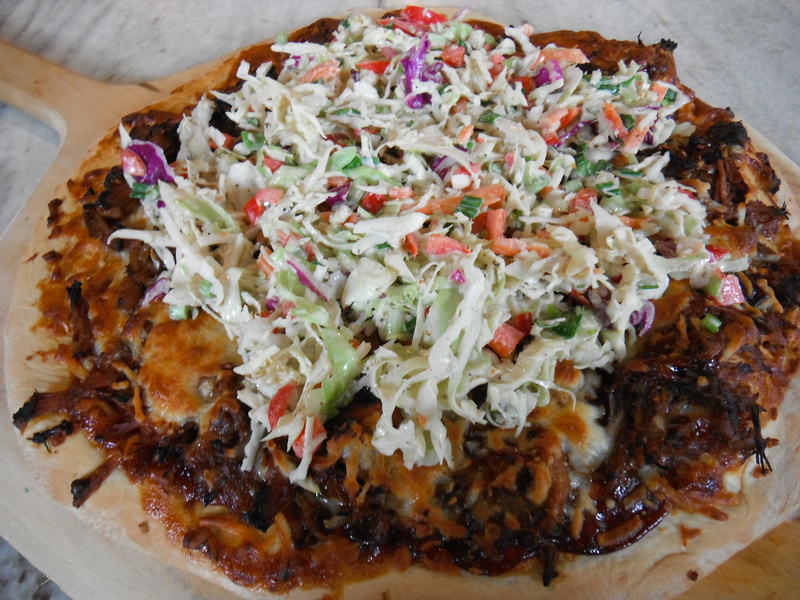 Remove from oven and allow to st at least 10-15 minutes before serving. Roasted on foil lined baking sheet with a drizzle of olive oil , salt and pepper ; to taste. Bake until tender, Cool. Squeeze lime juice over the top of roasted asparagus. Combine the dressing ingredients and whisk. Adjust seasoning , if needed. Place wraps out and divide and spread evenly the goats cheese over the top. Divide the roasted asparagus among the cheese covered wraps. Divide evenly the baby spinach among the wraps . In a bowl combine the cooked chicken, cooked pancetta, onions and sunflower seeds; toss. Pour dressing over the top of the chicken mixture and toss until combined. Divide evenly among the wraps. 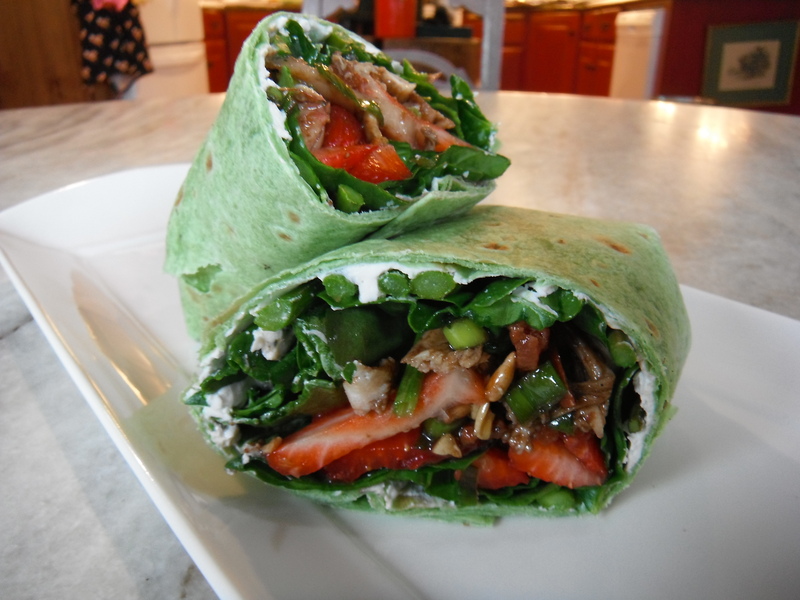 Place the sliced strawberries evenly among the wraps. Roll and wrap in plastic if not serving right away. Place the beans in a bowl of water and let soak over night. Drain soaked beans and add to a slow cooker. Pour in the water and toss in the rosemary sprig. 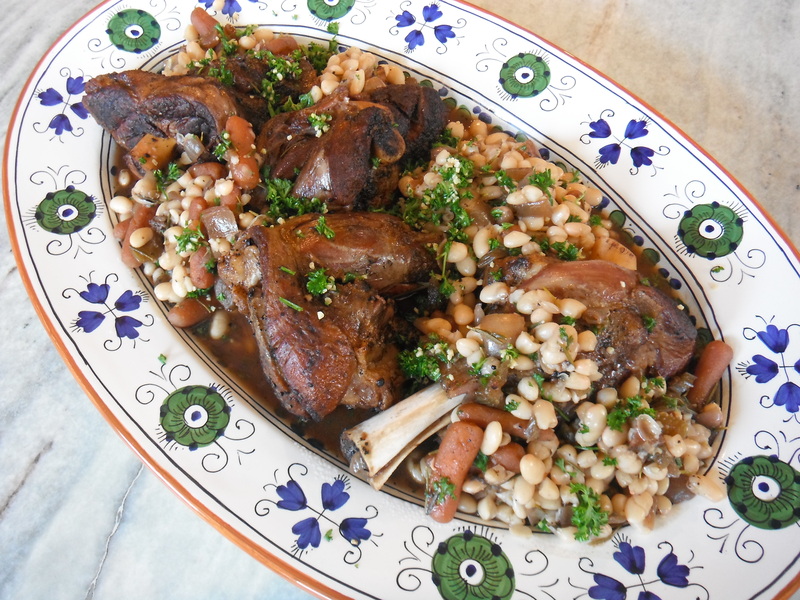 Place slow cooker on low and cook for about 8 hours or until beans are tender. Salt and pepper, to taste. Drain and set drained beans aside. Pat dry the lamb shanks and trim where needed. Salt and pepper the shanks. In a large saute pan, add a small amount of olive oil. 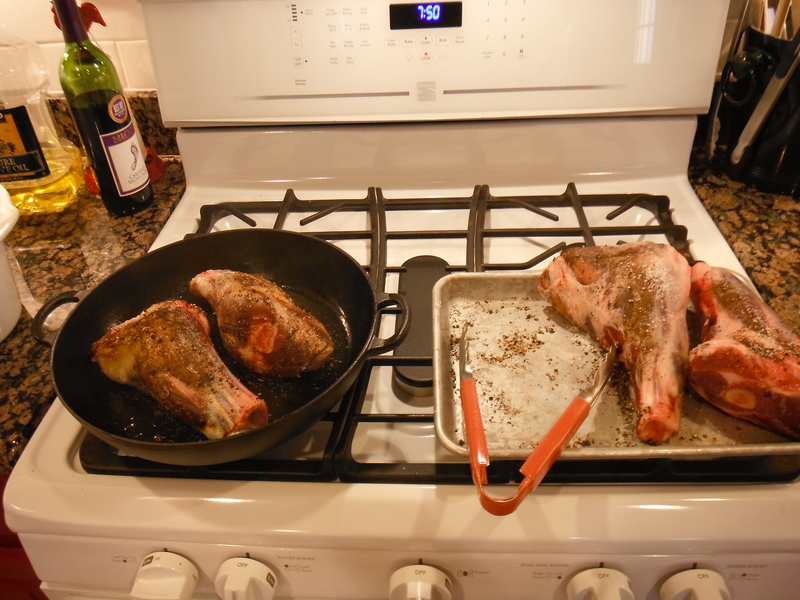 Heat the pan on high and sear all sides of the lamb shanks. Remove to platter and set aside. Scatter the vegetables, chopped garlic, and rosemary in the bottom of a large slow cooker. Arrange the shanks on top of the vegetables. 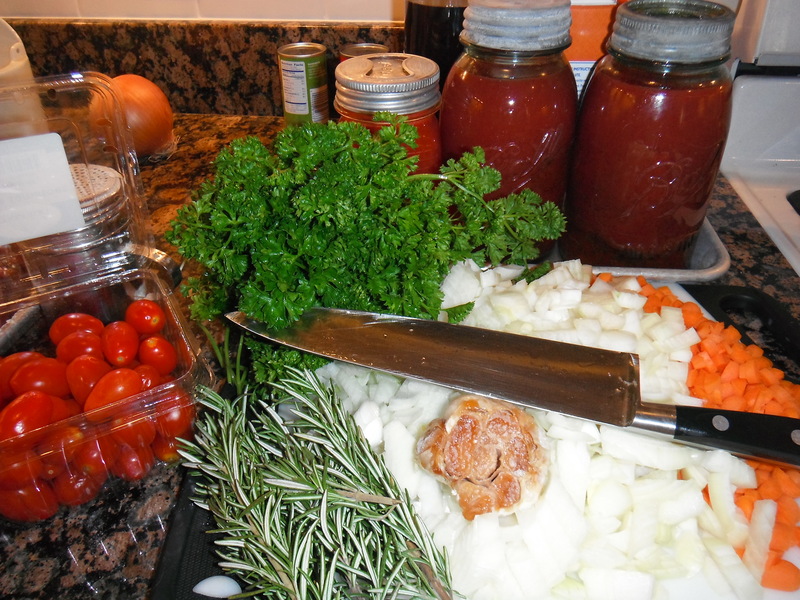 Stir together the broth,red wine, and tomato paste. Pour over the top of the shanks. Cover and cook on low for about 8 hours or until meat is tender and coming away from the bone. Remove the shanks to a platter and cover. 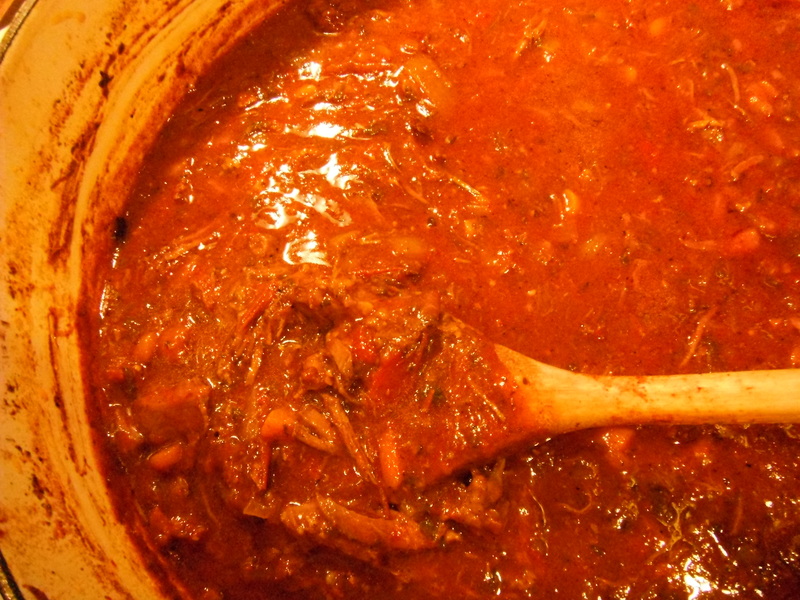 Skim the fat from the surface of the liquid in the slow cooker. Turn the heat to high and stir in the drained beans. Heat until beans are heated through. Chop together the parsley and garlic. Stir in the zest. Stir in half the mixture into the bean mixture. 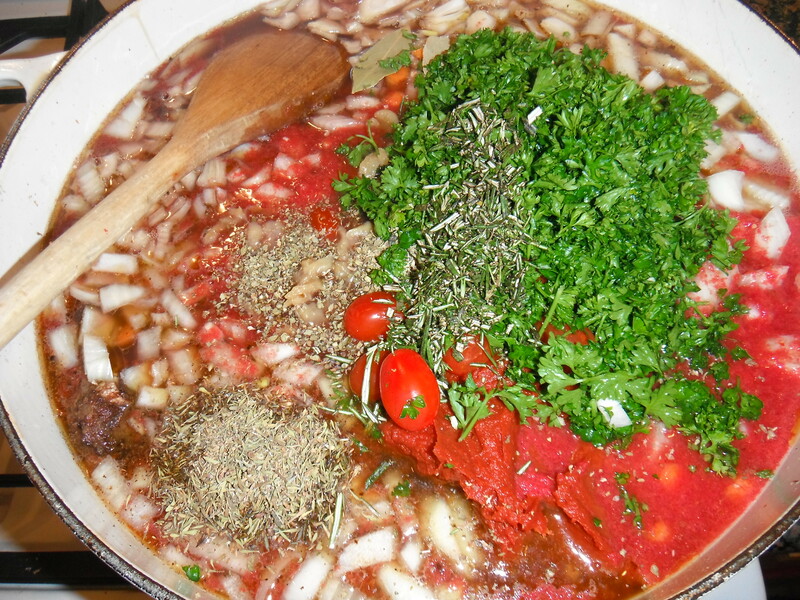 Place bean mixture on top of shanks and sprinkle the remaining gremolata over the top of the shanks and beans.